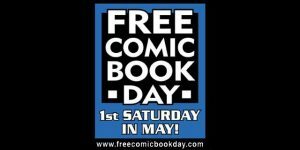 Work at Austin Books & Comics! 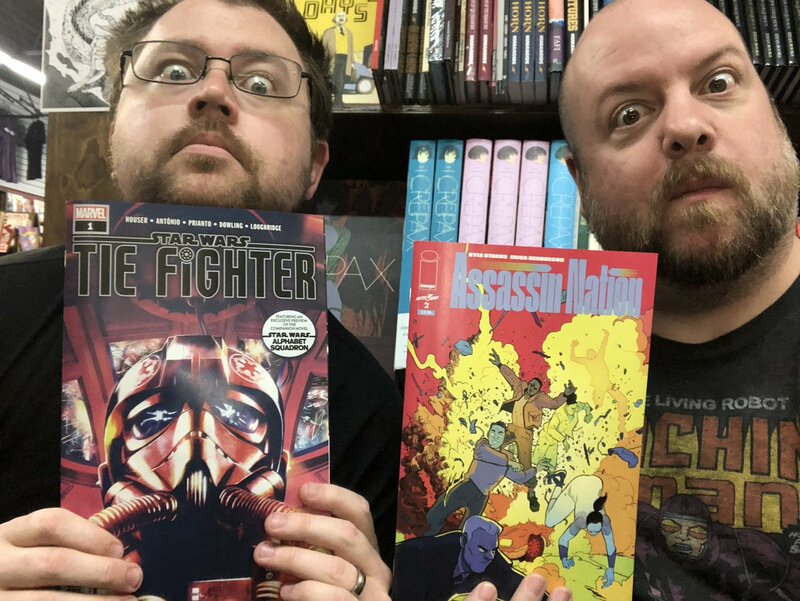 Join SuperTy and Brandon as they discuss this week’s new comics! Like us on Facebook and watch LIVE every Tuesday around 6 PM! Be sure to subscribe to our channel for reviews and fun! What are you excited about this week? Let us know in the comments! Check out the latest new release pick of the week! Have a question? Click here to send a message and we'll get back to you shortly! Gift cards are available in any amount and are good at all Center of Austin Fandom stores! Check in on Facebook, Twitter, or Instagram and get a FREE sticker! Click here to send a message and we'll get back to you soon! ENTER SHADOW WING! THE EMPIRE’S SALVATION! 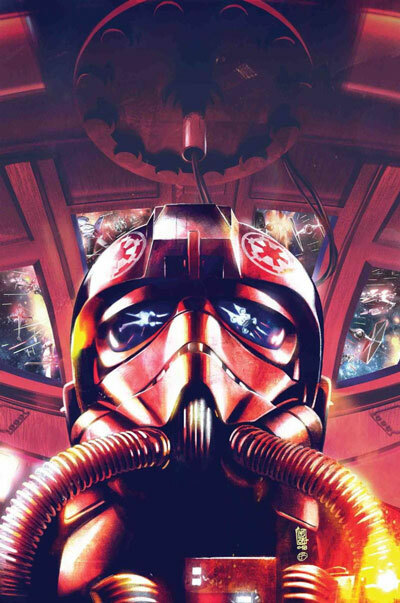 As the war against the REBELLION stretches on, it is the innocent people of the GALACTIC EMPIRE who are most at risk. An elite squadron of TIE fighter pilots is assembled to help protect Imperial interests and hammer the Emperor’s fury down upon the treasonous and violent Rebel Alliance. But how far is this untested team willing to go to preserve law and order? And are the pilots of SHADOW WING as loyal to the Empire as they seem? JODY HOUSER (THRAWN, AGE OF REPUBLIC) and ROGÊ ANTÔNIO’s (X-MEN RED) TIE fighter tale chronicles the struggles and triumphs of the heroes of the Empire in the last days of civil war – but what about the heroes of the Rebellion? Realms Apart: A Fantasy Art Show - This Friday! 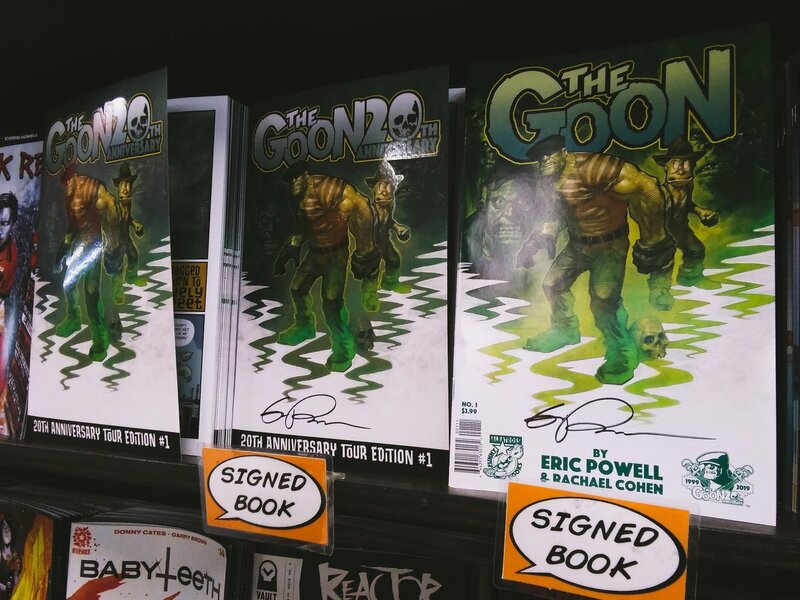 Austin Books & Comics Austin Books & Comics was live. Hey y'all!! It's Wednesday and today we got all the latest issues and volumes in!! Stop on by and check out what's new!! Hey guys!! Don't forget to tune in at 4pm for our next LGBT+ book of the week!! 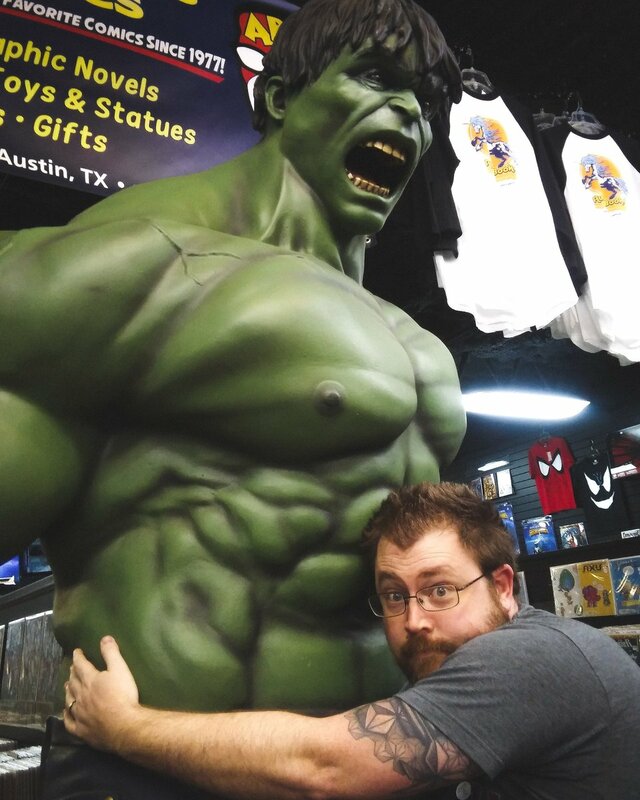 40 Years of Austin Books & Comics!